The first picture that Kottayam (Kotayam) presents may be that of rows and rows of rubber trees, dark and green, on uneven terrains. Well, it is much more than a rubber land. 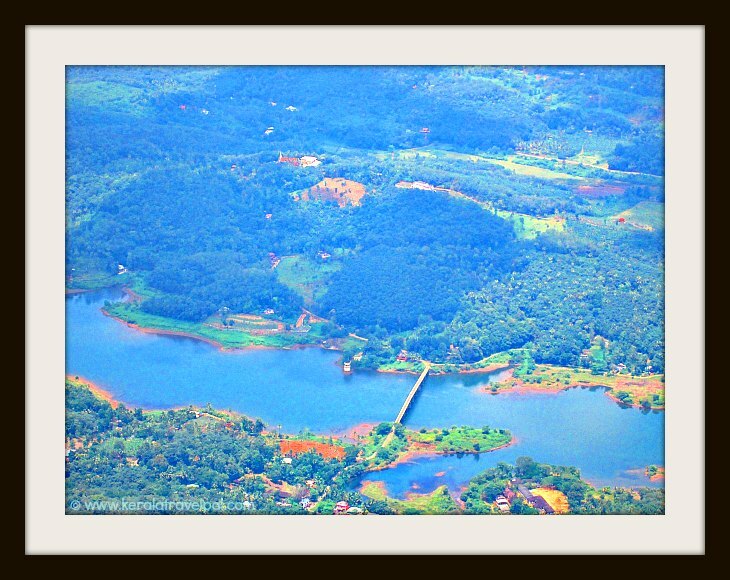 Backwaters, waterfalls, hill stations, trekking points, bird havens, monuments and pilgrim centres- there is magic in the air! Kotayam district of South Kerala shares borders with the backwaters of Alappuzha as well as the high range of Idukki. Eranakulam and Pathanamthitta are also neighbours. The centre of local action is Kottayam town. Apart from being the admin hub of the district, it is also among the notable towns of Kerala. Kottayam started its trail of trend setting in the early 17th century. The first printing press and the first college in Kerala were great achievements of that era. Then, in 1989 it created news by becoming the first Indian town to achieve 100% literacy. Nowadays, it is on track to becoming the first eco city in India. It is a place of achievers, indeed. As the major Christian stronghold in Kerala, the number of Seminaries and Bishop Houses are great many for the city-siders to jokingly call their place Second Vatican. Kottayam is the major town near the backwater hotspot of Kumarakom. Convenient location of 16 kms from the backwater belt makes it the favoured stop over for travellers. It is also a preferred overnight stay option en route to the high ranges as well as pilgrimages. Vembanad, the lake of the land, is quite big. Five rivers flow into the water body that takes up more than 200 sq. Kms of Kotayam and Alappuzha. Kottayam is a plantations district. Cash crops that flourish in the pleasant climate of the hills are many and varied. The king of all local crops is rubber. A whopping three forth of Indian rubber production is from Kerala, and chiefly from here. Local Rubber bonds are so strong that Indian Rubber board and a host of other agricultural Institutions are based here. Since Benjamin Bailey, a Christian missionary, started a printing press in A.D 1820, the town followed a path of printing and publishing. Today, about 70% of books published in Kerala are from here! Aptly named the City of Letters (Akshara Nagari), it is also home to 30 periodicals and 6 news papers. The major tourist attractions are the backwaters, waterfalls, Kumarakom bird Sanctuary, Ilaveezha poonchira, Poonjar Palace and Wagamon. 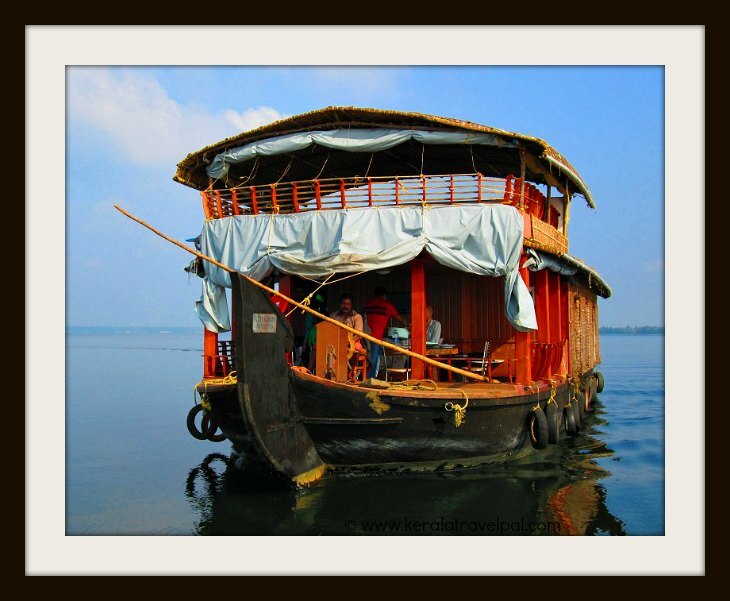 Vembanad Lake, the largest lake in India, is popular for house boat trips. Vast expanse of water is breathtakingly beautiful. Great water experience and glowing reviews keep a large number of house boats afloat. Many houseboats are based in Kumarakom, 16 kms from Kotayam town. Kumarakom is internationally well known thanks to scenic beauty of this water-land and relaxing houseboat holidays. Many visitors also find it greatly amusing to take canoe trips through local water ways. 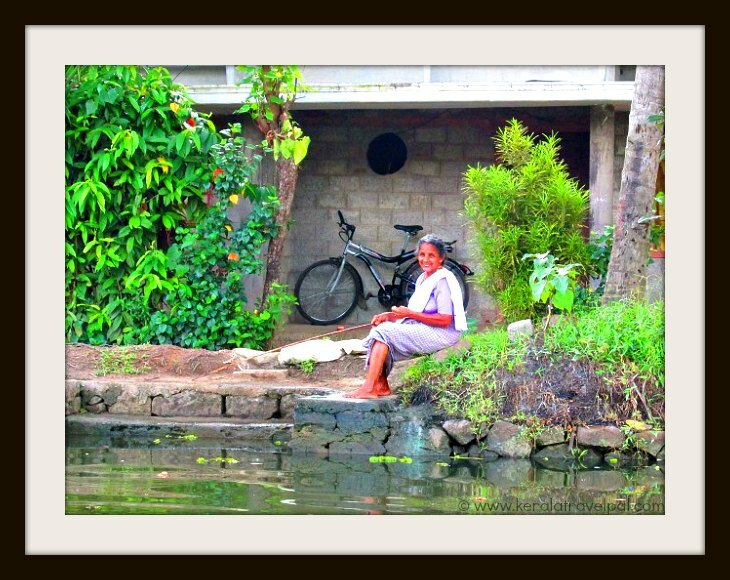 That takes them more close to the heart of village life, more satisfying to those who want to experience life that is truly Keralan. Kumarakom Bird Sanctuary is located in the banks of Vembanad Lake. Apart from 91 species of local birds, about 50 species of migratory birds are attracted to this wet region of paddy fields and lush landscapes. The sanctuary spreads over 15 acres. Bird watching cruises through backwaters are popular. Giant hills of Ilaveezha poonchira have created valleys that reach far, near and even to the heart of the beholder. Brilliance of sun rises and sun sets radiates a lot of colour in the ever picture perfect valley. In the whole of Kerala, there are not many locations where sun rises and sun sets can be viewed from the same spot. The elevations of Ilaveezhapoonchira are great to view the spectacle of sun rises and sunsets. Panoramic view is top class, as sight extends far far away. Monsoon flooding turns the dale to a lake. The changed appearance of stark contrast, again, is a different shade of beauty. The valley has no trees, so no leaves fall there. A valley where no leaves fall is the literal meaning of the long name, Ilaveezha poonchira. Exploring the neighbourhood may take one to tribal settlements and natural caves beside a stream and a perennial pool. Getting famed as a new trekking destination, a recently developed Tourist Bungalow is ready with rooms and dorms, for those who wish to experience a few days of serenity. Ilaveezha poonchira is 60 kms from Kottayam town. 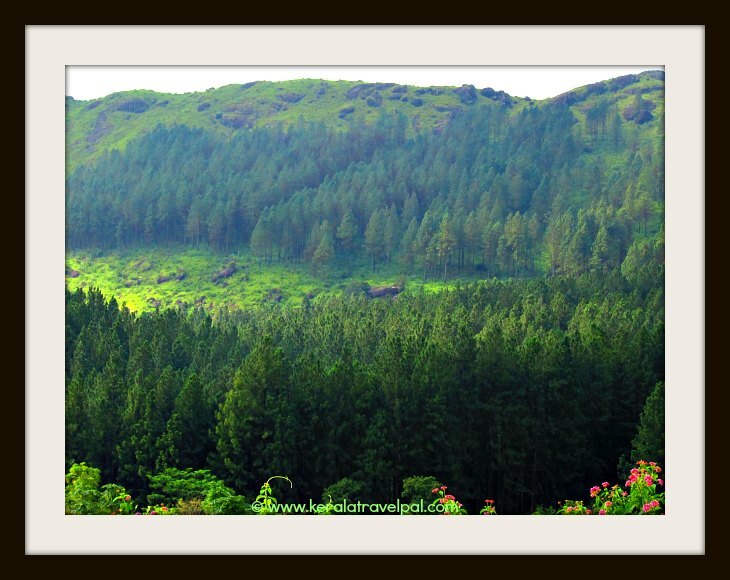 Wagamon (also Vagamon)is a place for mountain lovers. From a distance, large mountains appear as big lumps of black and green on a snowy corridor. Pastures, plantations and pine forests that fill the land have also left some room for grassy strips. Well cut tea gardens harmoniously fit in alongside of wild growth. Three of Wagamon’s hills are considered sacred by the three major local religions, Hinduism, Islam and Christianity. One of them is the mountain of the cross, a Christian pilgrim centre. There is an Asharam at the foothill, which follow an interesting blend of Hindu and Christian practices. The Muslim Dargah for Sufi Saint Faridudhin and the temple of Murugan also brings their share of pilgrims. Great for trekking, mountaineering, rock climbing and paragliding, snowy Wagamon is a refreshing retreat away from the smoky and dusty highways and crowded towns. Wagamon is 60 kms from Kotayam town on Kumali route. Of the many waterfalls, Aruvikkuzhi, Aruvikachal, Kesari and Maramala are worth mentioning. The most popular among them is Aruvikkuzhi, the waterfall not far from Kumarakom backwater. Kesari waterfall is near to a major road and hence not hard to reach. Other waterfalls are within the woods> people ready to trek the forest paths can only reach them.